There are many things to love about Hong Kong. Despite how difficult (I can only assume from high costs, competition and saturation) it must be to start a restaurant, there is so much variety and individuality in the dining scene as long as you step out of big shopping malls and onto less frequented streets. Small restaurants have their unique qualities and expats can feel less home-sick because this city is home to restaurants serving all sorts of cuisines from around the world – even the very specific ones. The Pudding Nouveau could not have been a better characterisation of all of the above. 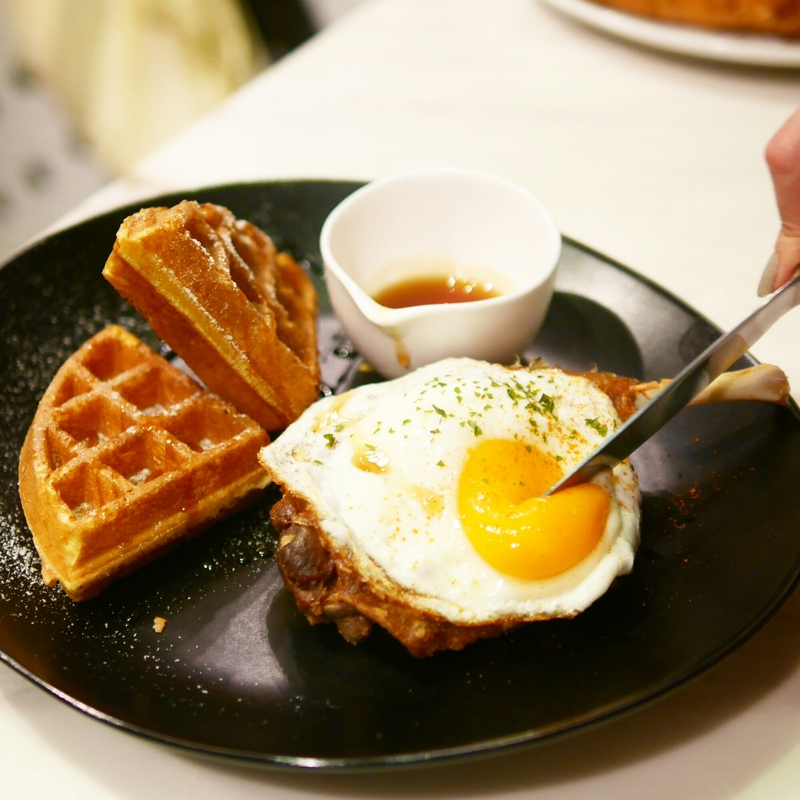 It’s a small cafe-restaurant situated in the restaurant-dense area of Tai Hang and one of their signature dishes is Duck and Waffle. This may ring a bell for many readers, as it was essentially inspired by the famous Duck & Waffle in London. While I personally can’t judge the similiarities between the two (I was too busy cafe-hopping when I last visited London), The Pudding Nouveau’s was delicious and my favourite dish here. The duck confit was cooked extremely well with crispy skin and tender juicy meat. The waffle was also crispy and tasted great (very different from the Belgian waffles I just wrote about from Waffling Beans). But if you didn’t come here for dinner (like I did), they also make brunchier items like their all-day breakfast. 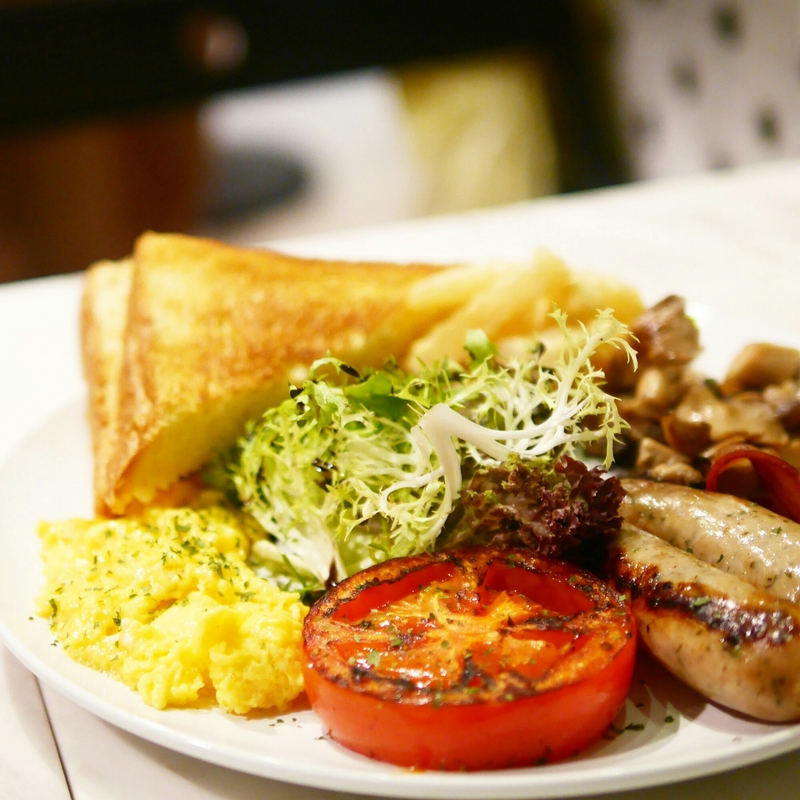 While it features most of the usual breakfast items, it’s not totally typical either. The creamy scrambled eggs and delicious French brioche toast is especially worth mentioning. I also tried their lobster croissant which was very decent too, although relatively less memorable compared with the other dishes I tried. They also make good desserts here where the owner or chef clearly was inspired by his or her travels abroad. The oolong creme brulee was one of my favourites. The creme brulee was smooth and infused with a good amount of tea flavour. I liked that it was mild, present but not overpowering, although others thought it could’ve been stronger. The souffle looked impressively puffy when it came out (it shrunk as I took the photo!) and the texture was done well, much better than most I’ve had in Hong Kong. However, its taste was relatively lacklustre – I think the creme brulee was a clear winner here. The food here was delicious in general, with the duck and waffle, all day breakfast and oolong creme brulee being the highlights. The prices are also reasonable but you should expect the seating to be a little tight and not entirely comfortable. The shop is small and probably seats less than 20 – I can only assume a potential table wait on weekends, so it’d be wise to make a reservation first.